9 April, 2019 – Benjamin Franklin once wrote, “…in this world nothing can be said to be certain, except death and taxes.” There is definitely some truth in his words since International Tax Day has inevitably arrived once again. Tax Day is Monday, April 15th – and these establishments are running some of the city’s best specials. Urban Farmer, Philly’s modern chic American steakhouse on Logan Square, is celebrating Tax Day 2019 by offering UF’s delicious Farm Burger available for just $10.40 (instead of $16!) during lunch service on Monday, April 15. The Farm Burger is served with heritage-bred beef, white cheddar, aioli and comes on a house-made sourdough English muffin. Tax Day is the perfect occasion to take a break from work and to experience a creative menu with locally sourced ingredients. Gin lovers should raise a glass this Tax Day at Square 1682 – adjacent to Hotel Palomar – with all-day G&Ts for just two bucks. That’s right, Center City’s first LEED-certified restaurant and bar will offer refreshing gin and tonic cocktails for a mere $2 all-day this Tax Day. Come in for a drink or two, stay for lunch or dinner and enjoy dishes from Chef Mackenson Horebe. The Bar by Bluebird Distilling, the craft-cocktail bar inside Old City’s freshly minted artisanal food hall “The Bourse”, is well known for its extensive selection of award-winning spirits and one-of-a-kind concoctions. Fortunately, head bartender Shawna Ewing is also excited to sound the bell for the end of tax season with a delicious rum creation for $10.40 – Libation without Taxation. Better still, Ewing shared her recipe with us for tipplers who want to pick up a bottle of Bluebird’s Sugarcane, available for purchase at the Bourse, and mix one or two drinks up at home. 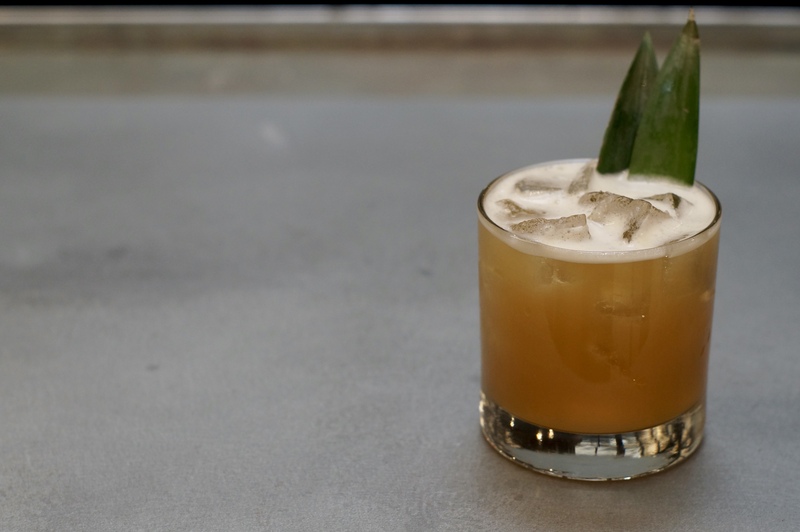 Shake, strain in to rock glass with ice and garnish with two pineapple leaves. CO-OP, the contemporary restaurant in University City adjacent to The Study Hotel, will not only be serving one but two fun Tax Day cocktails – both for just $10.40 each. Depending on whether you are getting money back (sweet) or have to pay this year (bitter), you can choose between a Negroni made with Campari, gin and sweet vermouth or an Aviation creation in the form of gin, lemon juice, maraschino liqueur and Crème de violette. 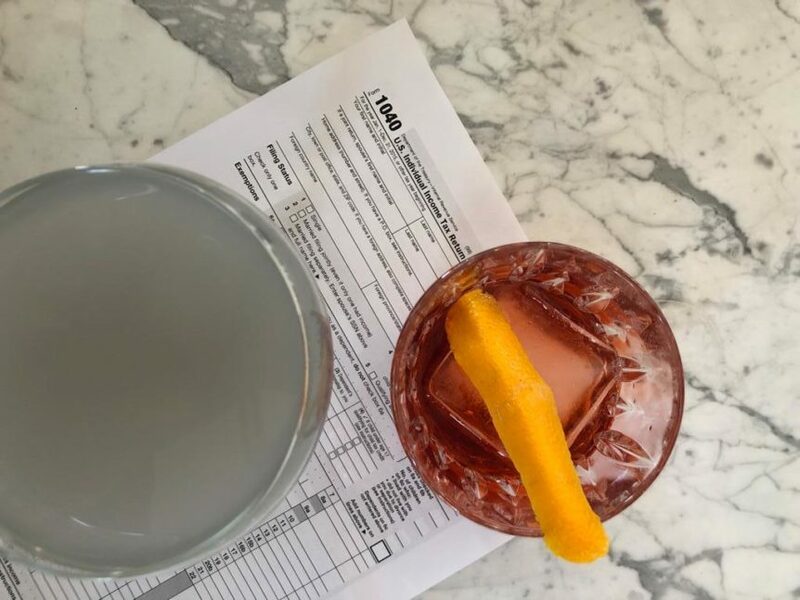 Guests can enjoy a special Income Tax cocktail ($9 all day) at The Twisted Tail, located in Philadelphia’s historic Society Hill, this Tax Day 2019. The cocktail pairs exceptionally well with the Twisted Tail’s savory and flame-broiled gastronomic offerings from its Southern-inspired charcoal grill. Just because Art in the Age is closed on Mondays, doesn’t mean that they don’t want to celebrate Tax Day. That is why they are serving a special themed cocktail, The Big Payback, the weekend before Tax Day (Sa-Sun, April 13-14) for $13. And if that isn’t enough, bartender Russ Israel also shared this exclusive recipe with us for cocktail-enthusiasts to make at home. Not much more to say than CHEERS and Happy Tax Day!